A Canadian pub treat—a pound of Pub Fries, fresh white cheddar curds, smothered in gravy. Nachos with pulled pork, our signature Ragtop BBQ sauce, cheddar cheese, diced tomatoes, jalapeños, bell peppers, onions and cilantro lime sauce. 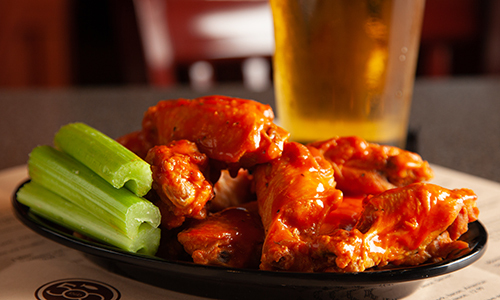 Hearty, fresh wings spun in our own signature sauces. 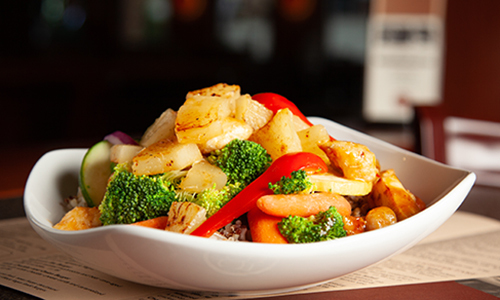 Norwegian Hot - Our secret recipe–all the flavor without the burn. Our most popular sauce. Served with freshly baked French roll. 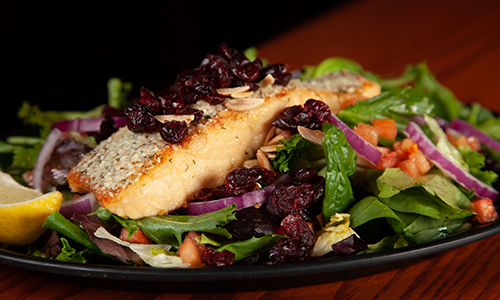 Pan-fried parmesan salmon, mixed greens, tomatoes, red onions, almonds and dried cranberries. Served with a homemade lemon vinaigrette. Mixed greens topped with spicy Norwegian glazed chicken, cheddar cheese, black olives, diced tomatoes and croutons. Served with blue cheese dressing and a French roll. Fresh side salad with a small bowl of our homemade soup or chili and a freshly baked French roll. A scoop of raspberry cheesecake on a bed of My MN Farmer Cashew Crunch with raspberry puree. Bread Pudding, Whipped Raspberry Cheesecake, Bourbon Chocolate Mousse and Cashew Crunch Parfait. Our signature pulled turkey on white bread with homemade mashed potatoes and gravy. 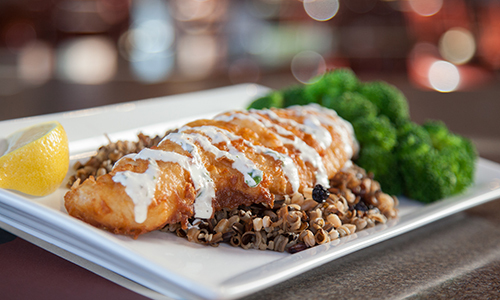 Served with a side of our freshly made cranberry sauce. Slow-roasted pulled turkey topped with Swiss cheese and bacon. Slow-roasted pulled pork with chimichurri sauce, cilantro lime sauce and homemade pickled red onions. Sliced corned beef, sauerkraut and Swiss cheese on grilled marble rye. Served with thousand island dressing. 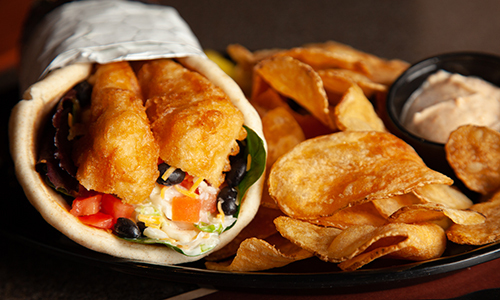 Beer battered cod, cabbage, lettuce, tomato, black beans, onion, cheddar cheese and cilantro lime sauce wrapped in a warm pita. Grilled chicken breast topped with freshly made cranberry sauce, toasted almonds and Swiss cheese on a multi-grain bun. Cajun chicken breast with lettuce, tomato, onion, cheddar cheese and our cilantro lime sauce a in warm pita. Hand-dipped beer battered walleye on a hoagie bun. Topped with white cheddar cheese curds and caramelized onions. 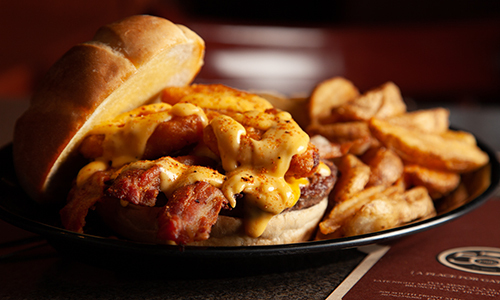 Our Angus steak burger topped with three strips of bacon, cheese, mac-and-cheese bites and more cheese. Summertime flavor. Served with avocado, lettuce, tomatoes, onions and our cilantro lime sauce. Served on a multi-grain bun. Salmon filet glazed with teriyaki topped with toasted almonds. Served with a wild rice farro mix and fresh, steamed broccoli. Pub Beer Battered Fish-and-ChipsCrowd Pleaser! For kids, seniors or anyone with a student ID. Served with choice of Pub Fries, Homemade Chips, Coleslaw or Mandarin Oranges. Breakfast menu available 9 a.m. till noon Saturday and Sunday.